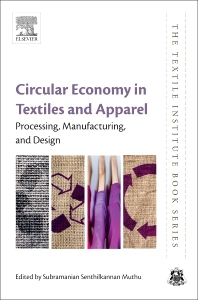 Circular Economy in Textiles and Apparel: Processing, Manufacturing, and Design is the first book to provide guidance on this subject, presenting the tools for implementing this paradigm and their impact on textile production methods. Sustainable business strategies are also covered, as are new design methods that can help in the reduction of waste. Drawing on contributions from leading experts in industry and academia, this book covers every aspect of this increasingly important subject and speculates on future developments.